When San Francisco Department of Public Works (DPW) and San Francisco Parks Alliance (SFPA) representatives gathered over the weekend to celebrate the 10th anniversary of the Street Parks Program, they were honoring something that is both quintessentially San Franciscan and something seen throughout the United States: our ability to find abundance where others see cast-offs. It’s the sort of commitment documented by Peter Block and John McKnight through their Abundant Community book, website, and online discussions. It’s a movement beautifully grounded in Tactical Urbanism. And it’s a sustainable, community-based, volunteer-driven effort that celebrates the work of people we don’t often notice: the people behind the projects that make our communities far more rich than they otherwise would be. Not bad for country where we so often hear about how badly divided we are. Those Street Parks projects are part of an ongoing program that brings City/County elected officials and employees, Parks Alliance staff, and hundreds of volunteers together to “activate” a string of City-owned parcels that, when combined, include approximately 500 acres of potential parkland. It’s an amazingly complex undertaking and, at the same time, it is amazingly simple. The complexity comes from the large number of stakeholders who have to be engaged to bring Street Park Projects to fruition; the simplicity comes from the idea that the projects begin when as few as two or three neighbors see the potential in an unused piece of public property and make the commitment to foster the numerous community collaborations required to produce positive results. What’s even more fascinating is the obvious interest in transforming unused public land into additional green open space in a city that already has a magnificent, nationally-acclaimed park system, a reclaimed bayside gem in Crissy Field and an equally ambitious counterpart in the Blue Greenway project that is already in progress; the Green Connections project that is also underway as another effort to increase access to green open spaces throughout the City; an effort to create more vibrant plazas throughout the City; and many other local efforts where volunteers work with an amazing network of nonprofit organizations, City/County representatives, neighborhood organizations, local business representatives, and anyone else who sees abundant possibilities for community development and enrichment. Street Park Program projects are, in many ways, the epitome of individuals setting aside individual interests to collaboratively produce a public good—often something designed to last far longer than the lifetimes of those who initially gather to produce the street park. We see individuals bringing neighbors together to turn a short, blighted cul-de-sac along a freeway into a community garden that attracted a new coffee shop to the block. We see neighbors next to another stretch of land adjacent to a freeway create a dog park where members of the community meet and enjoy each other’s company. A third stretch of blighted land becomes Progress Park—the site where we gathered last weekend to celebrate 10 years of Street Parks progress. A median strip in the Outer Sunset District becomes La Playa Park. Another lot becomes Pennsylvania Garden. And a set of concrete steps originally built in 1926 becomes the Hidden Garden Steps—the second set to be transformed into volunteer-maintained gardens and a beautiful ceramic-tiled mosaic (designed and fabricated by project artists Aileen Barr and Colette Crutcher) in San Francisco’s Inner Sunset District. Working on any Street Park Program project is, in fact like being in a rainbow. It’s inspiring. It’s overwhelmingly beautiful. And it hints at greater aspects of life than most of us would otherwise encounter. The 10th-anniversary Street Parks Program celebration documents a bit of what that rainbow offers and brought volunteers together to dream of even bigger rainbows—those we can produce during the next 10 years. If we are successful, we will use what we have learned and done to inspire others to seek similar community-based collaborations to positively change our world. N.B. : Numerous articles documenting the Hidden Garden Steps project remain available on this Building Creative Bridges blog. Steps updates can be found on the Friends of the Hidden Garden Steps blog. Stories provided by donors to the Hidden Garden Steps project are currently being added to the project website by Steps volunteer Liz McLoughlin, and a step-by-step virtual tour created by McLoughlin and by project volunteer Gilbert Johnson is also under development. It is, in some ways, a shame that those words from a successful politician to his peers and others with whom he has worked in government appear after the formal conclusion of the text, for it is in that brief acknowledgement that the former mayor of San Francisco—currently serving as California’s lieutenant governor—reminds us that we have plenty of great colleagues working at all levels of government in spite of the overwhelmingly negative attitudes so many people openly express toward those involved holding elected or civil service positions. On the other hand, it’s entirely consistent with the approach taken throughout the book: encouraging all of us to look for ways that we can use technology as a tool in playing more actively positive roles in shaping the communities we cherish rather than expecting others, e.g., elected officials and civil servants, to be prescient and powerful enough to create the world of our dreams without our explicit engagement in that process. “Shauna Robertson, cofounder of the Crowdrise fund-raising and social-networking site, asked me why we couldn’t transfer the principles of FarmVille to civic engagement. ‘Why can’t I take ownership of my little area of California and say, ‘This is what I want to do—I want to build my schools here’? Or fix the potholes or landscape the traffic medians? In other words, instead of taking care of a fictional farm, why can’t we create a game in which you take care of your actual neighborhood or your town? Newsom is explicit about the challenges we face in attempting to use technology to increase citizen-government collaborations: “The sad truth is that the history of government is a history of technophobia” (p. 6); government workers often collect magnificent amounts of useful data without working to make it accessible (p. 22); government agencies are much better at attracting constituents to one-time events than to encouraging long-term involvement (p. 115); and “…government isn’t interested in solving problems so much as managing them” (p. 220). That’s not a situation, he suggests, that is sustainable: “No one foresaw that sea change for newspapers, but in hindsight it had to happen. The same is true for government. It’s hard to predict exactly how this will unfold, but it’s absolutely inevitable that the relationship between people and government will change. If nothing else, the changing expectations of new generations, weaned on smartphones and the Internet, guarantee that we can’t just continue with business as usual” (pp. 174-175). 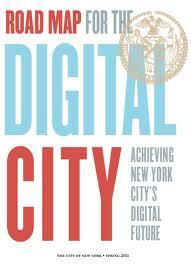 He offers plenty of positive examples, including the 68-page report titled Road Map for the Digital City—“a blueprint for how to propel New York into the digital age” (an updated version is available at http://www.nyc.gov/html/digital/html/roadmap/roadmap.shtml) and the New America Foundation release Hear Us Now? A California Survey of Digital Technology’s Role in Civic Engagement and Local Government (2011),” a report about technology and civic innovation.” He also reminds us that sites where participants clearly identify themselves rather than hiding behind pseudonyms produce much higher levels of discourse and engagement than those where the anonymous posters engage in “name-calling, insults, and flame wars” (p. 64). 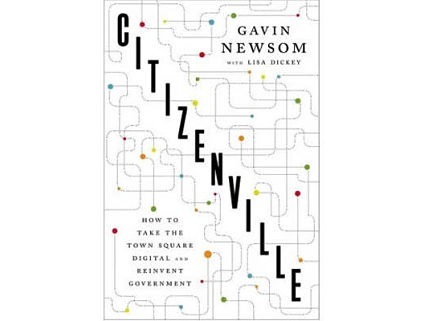 My own explorations of and involvement in community-government collaborations convince me not only that Newsom is, overall, right on track throughout Citizenville, but that there are plenty of models we can follow, including the work cited above (Block, Diers, McKnight, and Putnam) as well as local examples such as San Francisco’s Hidden Garden Steps project, which I’m continuing to document on this blog. The Steps project, designed to create a second set of ceramic-tiled steps in San Francisco’s Inner Sunset District while strengthening the sense of community that already exists here, is nearing completion exactly through the sort of private-public collaboration that appears to be Newsom’s gold standard in Citizenville. Our local elected public officials and colleagues in City-County government have become as enchanted with the project as we are and, as a result, have been helping us create a volunteer-driven, community-based project even more dynamic, beautiful, and engaging than we originally envisioned. The collaborations have grown from numerous face-to-face meetings, online interactions using a variety of social media tools, face-to-face contact to reach the greatest number of neighbors possible, and partnerships with existing community organizations, local business representatives, and local media representatives. And while none of this has played out within the context of an online game along the lines of Citizenville, the playfulness inherent in Newsom’s Citizenville model has certainly found its way into our tweets, our Facebook postings, our website, the results we are producing, and the overall approach we’ve taken to working with colleagues at all levels rather than falling into the destructively nonproductive trap of complaining about government and those involved in it rather than seeking opportunities to make it work for—and with—all of us. And then, as Newsom does in his acknowledgements, profusely thanking everyone who has contributed to making our community better. N.B. : This is the nineteenth in an ongoing series of articles to document the Hidden Garden Steps project in San Francisco. 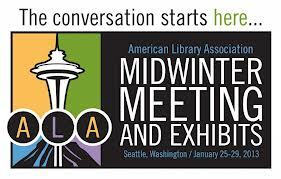 “The conversation starts out in Seattle” turns out to have been far more than an ephemeral marketing slogan for those of us lucky enough to attend even part of the American Library Association (ALA) 2013 Midwinter meeting that ran from Friday, January 25 – Tuesday, January 29; it was an inspiring call to action that extends far beyond the conference site and the libraries represented there. The interactive presentations began Saturday morning with a panel discussion that Sullivan moderated. Panelists included Richard Harwood, founder and president of the Harwood Institute for Public Innovation; Tim Henkel, president and CEO of Spokane County United Way; and Carlton Sears, past director at Public Library of Youngstown and Mahoning County and certified coach with the Harwood Institute—and it only took a few minutes for Harwood to get us going by reminding us that to move our country forward, we need to find ways in communities to get things done. Furthermore, he suggested, we need to restore a sense of belief in ourselves and forge the sort of meaningful relationships that foster positive change at the local, regional, and national level. Libraries, he continued, are uniquely positioned to support community development—an idea we’ve seen repeatedly in reports ranging from the Urban Libraries Council study “Making Cities Stronger” (2007) and the “benefit study” published by the Friends of the San Francisco Public Library that same year to the resources compiled online by Iowa Library Services, to cite just a few of the resources available to us. Libraries across the country are already doing great work, he acknowledged, and there’s room to do even more. Sears was equally direct in praising libraries for what they are accomplishing, and stressed the need for “authentic” engagement within the communities they serve. Involvement, he said, begins with a simple question: “What kind of community do you want?” Because work done by community activists tends to spread, he said he thinks of is “as a virus—but a good one!”—and he seemed committed to nurturing the spread of that particular virus. In the end, Harwood agreed, we’re all in this because we believe in communities, and it’s clear that attendees at that initial session were ready to return home after the conference concluded so they could use the tools and resources provided during the Promise of Libraries Transforming Communities sessions. Abundant Community advocate Peter Block was also onsite for a program drawing upon Community: The Structure of Belonging, the book he co-wrote with John McKnight. The groundwork has been laid, the challenge issued. Now it’s up to those of us inspired by Sullivan, Harwood, Block, and the others to spread the word, dive in as advocates, and help nurture the promise that libraries and other community-based organizations and initiatives offer. 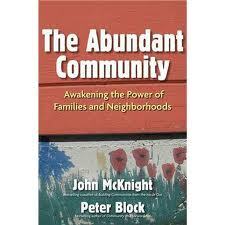 New community possibilities emerge “when we and other neighbors know of each other’s gifts,” John McKnight and Peter Block suggest in their book The Abundant Community: Awakening the Power of Families and Neighborhoods. And that’s exactly what we continue to see in the Hidden Garden Steps project here in San Francisco’s Inner Sunset District. As has been abundantly chronicled in this continuing series of articles about the Steps and the overlapping shorter series about fostering abundant communities, an awareness of gifts, resources, and an enthusiastic commitment to collaboration has steadily moved us toward a very exciting phase of our efforts to create a second set of ceramic-tiled steps along with murals and gardens featuring California native and other drought-tolerant plants. 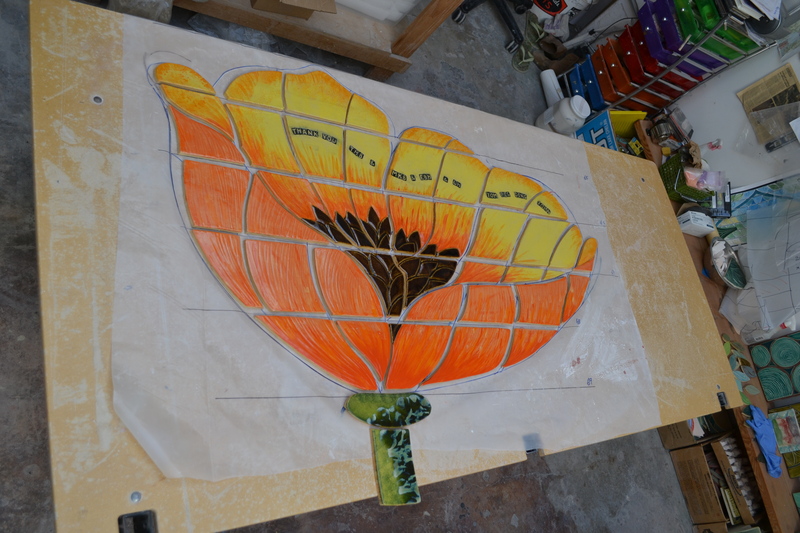 Project artists Aileen Barr and Colette Crutcher have, since September 2012, been working in their studios to build the 148-step mosaic that will eventually be installed on the 16th Avenue concrete steps connecting Kirkham and Lawton streets. Community involvement in fundraising, marketing, and hundreds of hours of onsite work cleaning up a terribly ignored pedestrian corridor has drawn together an ever-growing group of volunteers and other supporters inspired by the beauty of the first step of steps (on Moraga Street, between 15th and 16th avenues) completed by the same two artists working with a different group of neighbors and other supporters. Our next big step forward, at this point, is less than two weeks away: our two artists (on Saturday, December 1, 2012, from 1-5 pm), will lead the first of three community workshops for anyone interested in making hands-on contributions to the construction of the mosaic. This will be a celebration of community and collaboration in action within a local church meeting hall (Christ Church Lutheran, 1090 Quintara, San Francisco). It’s a chance to learn how projects of this magnitude are literally pieced together. An opportunity to work side-by-side with neighbors on a process that not only will produce a new community gem but also contribute to the already strong sense of community that exists within the Inner Sunset District. And a pre-holiday chance to reflect on what our work together over a three-year period has created and continues to create. It also is a visceral incarnation of the spirit of “making gifts visible,” as outlined by McKnight and Block in The Abundant Community (pp. 120-122): having members of a community teach and learn from each other; bringing together residents and local business representatives (a couple of our sponsors are donating refreshments for workshop participants); and attracting community members of all ages and backgrounds. There is plenty to acknowledge and celebrate in projects like the Hidden Garden Steps. These community efforts help build connections between those of us who previously knew little more about our neighbors than what we garnered from hurried waves and cursory greetings as we raced from one personal obligation to another. They attract people from other nearby neighborhoods so that we develop an extended sense of community, support, and simple, pleasurable human interactions that often seem to reach no further than a few feet away from our own homes or apartments. They further connect us to those wonderful third places within our communities—the coffee shops, the libraries, the neighborhood farmers markets, and streets transformed into meeting places by community-operated street fairs. And they remind us—through the collaborations we establish with existing groups like San Francisco’s Inner Sunset Park Neighbors (ISPN), the San Francisco Parks Alliance (our fiscal agent), and the San Francisco Department of Public Works Street Parks Program (supporting our onsite work on City/County property)—that transforming a dream into reality doesn’t necessarily mean that we have to start from scratch in our efforts to organize for success. And as Hidden Garden Steps current and prospective supporters move toward the day of our first mosaic-building workshop and continue with our fundraising efforts to bring this $300,000 volunteer-driven community-based effort to a successful conclusion, we all have plenty to celebrate—and to offer others in need of the inspiration we continually find from the families, friends, and other neighbors who are contributing to our own abundant successes. N.B. 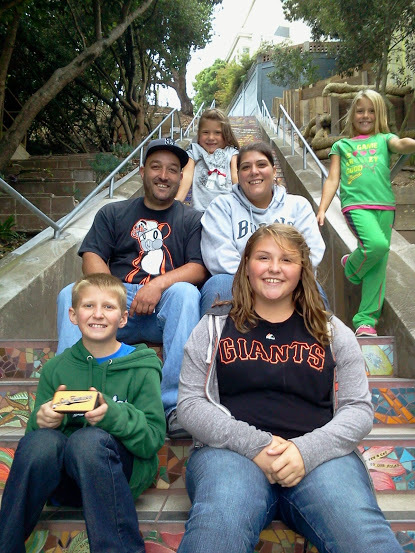 : This is the fourteenth in an ongoing series of articles to document the Hidden Garden Steps project in San Francisco and the fourth in a four-part series of articles exploring abundant communities. When we’re lucky enough to have a group like San Francisco’s Inner Sunset Park Neighbors (ISPN) nurturing an abundant community in our own backyard, every day is Thanksgiving Day. It’s as if the key members of this volunteer-driven community-based neighborhood advocacy group leaped right out of the pages of John McKnight and Peter Block’s The Abundant Community: Awakening the Power of Families and Neighborhoods and from their Abundant Community website, for this dynamic and incredibly flexible organization, with less than a dozen board members and a membership of approximately 200 people, manages to be at the heart of many of the most visible and positive initiatives developing in San Francisco’s Inner Sunset District. Explore the Inner Sunset Sundays street fairs that will have brought well over 5,000 people together in a festive block-long celebration of community by the end of 2012 and you’ll see the results of collaboration between ISPN members and other members of our extended community. Read the community bulletin board announcements posted in the heart of the neighborhood’s business district and you’ll see an invitation to participate in the wide range of activities and take advantage of the numerous services available in the neighborhood—because Inner Sunset Park Neighbor members worked diligently through the local permit process for permission to build and place that bulletin board in a key community meeting place. Walk through the Inner Sunset Farmers Market that has been open nearly every Sunday morning throughout the year since June 2009, and you’ll see the fruit of ISPN collaborations with the Pacific Coast Farmers’ Market Association and others who transformed a drab, narrow street-level parking lot into a vibrant meeting place where neighbors shop, stop to chat, and learn, through their conversations, of the latest developments and community events that draw us all together into a community of citizens rather than a group of consumers anxious to buy and run. This is an organization with a clear, appealing, and inclusive mission: “to engage with all Inner Sunset residents—renters, homeowners and business owners—to improve quality of life, build a sense of community, and generate pride in our neighborhood.” It’s also an organization that is neither rule-bound nor resting on its laurels. It offers an umbrella of support to groups interested in initiating and completing projects that further strengthen the sense of community and neighborhood, as is obvious through the support and collaboration offered to the current Hidden Garden Steps project. It also has board members that freely move in and out of the ISPN structure to support other independent neighborhood initiatives such as the Public Bench Project. And, through conversations that begin at gatherings such as the Inner Sunset Sundays street fairs, it fosters discussions about dreams along the lines of transforming a block-long area of the neighborhood business district into an attractive pedestrian mall that would further support the sense of community that places like the Inner Sunset District provide. The point of all of this is that we do have choices. We can allow ourselves to be buried under what appear to be insurmountable differences that prevent members of communities from coming together in any sort of mutually agreed upon plan of action. Or we can start, in small numbers, with those who are agile, creative, and determined enough to take tiny steps that lead toward significant and positive results. ISPN members and supporters clearly understand that the hard work that goes into organizing these efforts can be rewarding. And fun. And well worth pursuing. It’s up to the rest of us to decide what we can do to be part of that process. And to support the groups that are already in place. Trainer-teacher-learners, in spite of frequently citing a lack of funding and other resources as an impediment to success, are often extremely effective at creating and sustaining what John McKnight and Peter Block call “abundant communities”—those gatherings of people who effectively find strength through a focus on people as creators and collaborators rather than consumers. Our efforts as members and as the driving force behind the American Society for Training & Development (ASTD), when we are at our best, serve as an easy-to-replicate example that seems to be pulled from the pages of McKnight and Block’s Abundant Community book on the topic. When the writers tell us that “a competent community has three properties” (they focus on the gifts of its members, they nurture associational life, and they offer hospitality through the act of welcoming strangers into their group), we immediately can picture any ASTD or any other well-organized and well-developed association that creates a potent, supportive, and dynamic community through individual chapters, informal regional consortia, and national connections firmly rooted in commonly-adopted mission, vision, and value statements. We know for example that when we walk for the first time into a meeting of any well-functioning local ASTD Chapter, our previous agreement to affiliate with another chapter and/or colleagues at the national level makes us immediately part of the group of colleagues we are about to meet. It’s what I experience every time I go to activities sponsored by my own home chapter, the ASTD Mount Diablo Chapter. It’s what I’ve experienced over the past year with other California chapters as well as with the South Florida Chapter. It’s what I experience when small groups of ASTD members from all over the country meet over dinner, as we frequently do when drawn together by ASTD or other conferences. And it even carries over when ASTD members meet in non-ASTD venues including the weekly #lrnchat conversations via Twitter every Thursday evening. This, for anyone engaged in a well-functioning association, is the best of all possible reminders of how abundant our communities are and can be in an onsite-online world. When we’re together—together in every sense of the word—our limitations and challenges somehow take a back seat to the benefits we reap from associating in these abundant communities: full of inspiration; full of colleagues dedicated, as ASTD suggests, to making a world that works better; and full of solutions to problems none of us would dream of tackling without the support of other members of those explicitly abundant communities. And just as McKnight and Block consistently focus on an abundant community’s ability to awaken the power of family and neighborhoods, members of ASTD and other first-rate associations use their strengths and resources to contribute positively and significantly to the extended communities to which they belong and which they serve. California ASTD chapters, for example, are among those informally providing free learning opportunities to returning veterans under the aegis of programs that support Wounded Warriors; having documented initial successes from this sharing of what they bring to their communities, some of the California chapter leaders are beginning to explore ways to create a more formal consortium to expand what they had previously been doing completely at a local level independent of colleagues from other chapters—a great sign that this particular abundant community is pooling resources in a way that creates greater possibilities while also drawing more attention to ASTD, its chapters, and its individual members as potential community partners reaching beyond more local borders. None of this, however, matters much if our community doesn’t carry through on its commitment to be as permeable as possible. When we are greeted, welcomed, and drawn into conversation the moment we walk into an ASTD gathering, we sense the draw and engagement of an abundant community: it makes us want to join the club. This doesn’t mean that every person entering our community will ultimately want to serve on a board of directors or become a major financial supporter of the organization’s activities, but what makes us strong is our willingness to accept all interested parties at whatever level is comfortable to them: occasional visitor, member of a local chapter, dual member of the local and national organization, member of a local chapter board, member of a national committee of volunteers dedicated to strengthening and promoting the organization throughout its extended community, and former board member who remains engaged at any sort of level that contributes to the continuity of the association. And that, I would suggest, is the key element and resource that contributes to the success of an abundant community—one capable of holding our attention and setting up the continuity that creates something capable of outlasting the efforts and lifetime of any individual member. To propose the existence of abundance at a time when so many people are discouraged and overwhelmed might appear to be a hard sell. But that’s exactly what John McKnight and Peter Block effectively do and nurture through their wonderful book The Abundant Community: Awakening the Power of Families and Neighborhoods and the Abundant Community website they maintain to support and spread their work—and ours. A heartfelt and encouraging paean to the power of collaboration, The Abundant Community serves as a positive source of inspiration for rethinking many of our unquestioned assumptions; it also consistently serves as a useful handbook for those of us interested in and committed to building the sort of collaborative coalitions that make a difference locally, regionally, nationally, and globally with surprisingly little effort. McKnight and Block begin the rethinking process by drawing a distinction between what they call “citizen” and “consumer” societies—maintaining that until we reverse the trend away from the citizen to the consumer model, we’re going to miss the obvious abundance of resources around us and the opportunities to overcome the challenges that leave so many people feeling incapable of effecting change. Consumer society, they maintain, is predicated upon the belief that “satisfaction can be purchased”; the result, they consistently suggest, is that we try to buy solutions to everything ranging from healthcare and emotional challenges to education, safety, and security needs. Citizen society, in contrast, nurtures “social and civic life” so that we work together to create and support healthier communities that meet their members’ educational, safety, security, and other needs. It’s clear that the authors are trying to move us from being armchair critics to being actively engaged in creating healthy, thriving, vibrant communities where connections foster success and a high quality of life. “The greatest tragedy of the consumer life is that its practitioners do not see that the local community is abundant with the relationships [italics added for emphasis] that are the principal resource for rescuing themselves and their families from the failure, dependency, and isolation that are the results of a life as a consumer and client,” McKnight and Block suggest. “Their ships and sinking, and they struggle to swim to safety, ignoring the life raft at their side. The way to the good life is not through consumption. It is, instead, a path that we make by walking it with those who surround us. 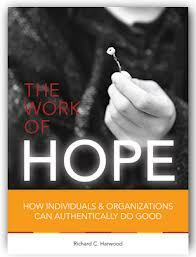 It is the way of a competent community recognizing its abundance” (p. 18). The writers are explicit about the problems we create when we fail to acknowledge and build upon the abundance that remains untapped within communities: we marginalize nature to such a degree that we lose sight of much of the beauty that surrounds us and the numerous benefits we might draw from nature; we surrender to marketing efforts that create and then require additional resources to alleviate dissatisfaction in our lives; we pay attention to little more than we can immediately see, thereby missing the opportunity to operate within a larger, more positive framework; and we become slaves to debt rather than freeing ourselves by having a goal of living within our means (p. 50). They are equally explicit about the numerous, simple achievable changes we can make to address these challenges, e.g., learning “how to fix what is broken rather than replacing it. Shopping when we really need something, not shopping as a form of recreation.” And at a larger level, shifting from a primary focus on immediate challenges and needs to a focus that includes “a future orientation” (p. 54). 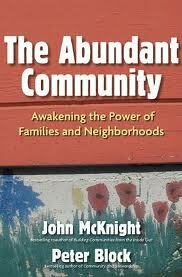 The abundant community that McKnight and Block want to help us strengthen is built upon several core beliefs that too few of us recognize: that what we have is enough; that we have the capacity to produce what we need; that cooperation and satisfaction provide a framework for organizing our world; that we each have definable responsibilities for and toward each other; and that there is a basic undeniable reality to the human condition within which we must live. The communities that incorporate these beliefs into daily practices are rooted in focusing on the individual gifts we bring to our communities, nurturing “associational life,” and offering hospitality to everyone—an idea based on a commitment of welcoming strangers to our communities rather than creating barriers to their acceptance (pp. 66-67). And when we set aside all the theorizing and rethink our way into putting this into the familiar context of our own communities, we see that we’re really not talking about much more than what already exists in those that are successful. A neighborhood association (like San Francisco’s Inner Sunset Park Neighbors) that consistently improves the quality of life for significant numbers of people draws from all these ideas and practices. As does a local, regional, or national association organized around a specific profession (e.g., the American Society for Training & Development, which creates a tremendous learning community for those of us involved in workplace learning and performance, AKA staff training). And as is the case with the volunteer-driven community-based Hidden Garden Steps project in San Francisco’s Inner Sunset District. There are literally thousands of organizations like this all over our country and beyond our own borders. The challenge for all of us is to recognize them, appreciate them, and support them through our own involvement regardless of whether we can only give a few minutes/a couple of hours/a few dollars a month or whether we recognize that we are ready to become more deeply engaged through deeper commitments—not only to those entities but to the greater extended abundant communities that would not exist without them.